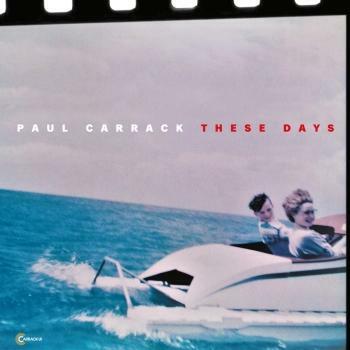 It's Paul's 17th album , a run that began way back in 1980, but which has been building real, independent momentum since he formed his own Carrack-UK label in 2000 with the landmark 'Satisfy My Soul' release. Since the turn of the century, Paul has quietly built a huge, loyal fan base, the audience that not only devours his albums, but turns out to see his frequent, extensive tours in their thousands. 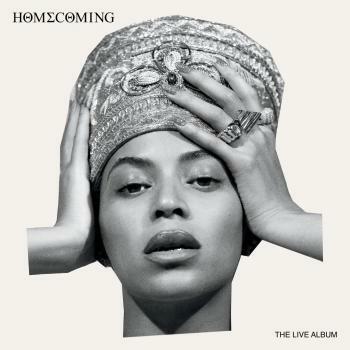 He's done that the only way he knows, by making high-quality, accessible pop-soul with unmissable hooks and lyrics that say something about all of our lives. That's more true than ever on 'These Days.' The album's stunning line-up features Paul on keyboards and guitar and regular bandmate Jeremy Meek on bass, joined by Robbie McIntosh (Paul McCartney, Pretenders, Norah Jones, John Mayer) on lead guitar and drummer Steve Gadd, Paul's Eric Clapton bandmate who has graced the work of everyone from Steely Dan to James Taylor. As if their exemplary playing wasn't enough, the album's horn section is hand-picked and overseen by the mighty Pee Wee Ellis, the American saxophone ace who was an integral part of James Brown's shows and records of the vintage 'Cold Sweat' era. Five tracks on 'These Days' have lyrics by Paul's friend, former Squeeze bandmate and consummate wordsmith Chris Difford." He’s a label owner, hugely popular recording and touring artist, one of the most in-demand voices and songwriters of his generation and the creator of a catalogue of household hits. But beyond all that, Carrack just loves making music, and now he’s delivering a real career landmark and the best blue-eyed soul album of the year. ‘Good Feeling,’ out on September 24 on his own Carrack UK label, is the latest lovingly-crafted piece of work by a British talent whose mark on music stretches all the way back into the 1970s. The follow-up to 2010’s ‘A Different Hat’ (his gorgeous collection of vocal performances accompanied by the Royal Philharmonic Orchestra), it was produced by Paul himself and he plays most of the instruments on it, although his son Jack, now a member of his band, joins him on drums. 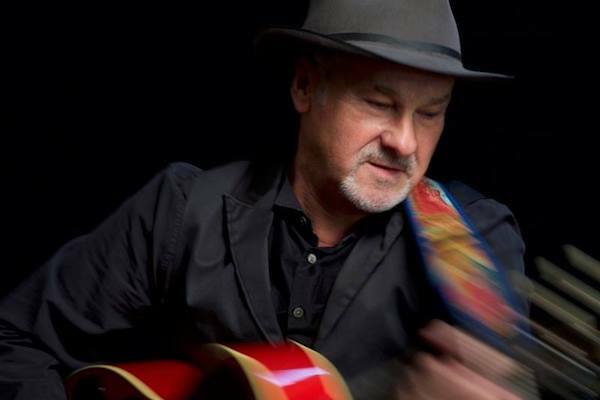 Simply put, ‘Good Feeling’ takes everything that’s good about Paul Carrack and adds to it, and several tracks from it will soon be highlights of his prolific live performances. The near-title track ‘Good Feelin’,’ a song that lives up to its title if ever one did, has already become Paul’s latest airplay favourite, and the album includes an irresistible collection of originals and covers. He co-writes with his old Squeeze pal Chris Difford and another British songwriting treasure, Charlie Dore, and shows his great versatility by interpreting both Nick Lowe and Bruce Springsteen. Across four decades, countless Carrack performances have quietly made their mark on the collective consciousness, including Ace’s ‘How Long,’ Mike & the Mechanics’ ‘The Living Years,’ ‘Over My Shoulder’ and ‘Silent Running,’ Squeeze’s ‘Tempted’ and solo landmarks like ‘Satisfy My Soul,’ ‘I Live On A Battlefield’ and ‘Eyes Of Blue.’ Not to mention the gems he presented to the Eagles, who made anthems of ‘Love Will Keep Us Alive’ and ‘I Don’t Want To Hear Any More.’ Or recording and performing collaborations with an incredibly eclectic list of legends like Roger Waters, Ringo Starr and B.B. King. The feelgood factor of ‘Good Feelin’,’ second single ‘Time To Move On,’ Lowe’s ‘From Now On’ and the Difford co-write ‘Marmalade Moon’ is perfectly complemented by the poignancy of ‘Long Ago,’ ‘Make It Right,’ Springsteen’s ‘If I Should Fall Behind,’ performed by Paul on a BBC Radio 2 anniversary special about the Titanic, and the closing number by jazz great Thad Jones, ‘A Child Is Born.’ Meanwhile the infectious ‘I Can Hear Ray,’ written with Dore, celebrates Paul’s love of the “Genius” himself, Ray Charles. Paul’s inspirations come from many quarters, but eventually all roads lead back to the soul music he fell in love with, growing up in Sheffield. Stax, Atlantic, Motown, you name it. “It was all of them. Whatever was getting played in the clubs or dancehalls, ‘In The Midnight Hour’...but Motown I did like, especially the singers. David Ruffin is probably my all-time favourite. “I would say probably Stevie Wonder as well. I love his early stuff, but ‘Talking Book’ was a mind-blower for me.” The Moog motif on ‘A Child Is Born’ is a deliberate and delightful nod to that era. After a spell with the jazz-rock band Warm Dust, Carrack put his real musical passion to good use and got into the spotlight for the first time in his next group. As the writer and vocalist of Ace’s ‘How Long,’ his blue-eyed soul credentials were instantly sealed. A top 20 UK chart placing barely did credit to the song’s staying power, but it went top three on the American pop chart. When Ace disbanded, Paul had a spell as a studio member of Roxy Music, before his solo career took its bow in 1980. Then came that short but sweet time with Squeeze, more solo albums and a stint in Nick Lowe’s brilliantly-named Cowboy Outfit. The work came thick and fast, both in Paul’s own name and as a go-to session man with the Smiths, the Pretenders, Roger Waters and many others. When Mike Rutherford of Genesis formed his side project Mike and the Mechanics, Paul and the late Paul Young shared vocals, and Carrack wrote and sang on many of their biggest tracks, none more so than ‘The Living Years,’ which gave them a US No. 1 in 1989 and remains in Paul’s live set to this day. But Carrack’s solo career really put down firm roots when he set up his own label for the release of ‘Satisfy My Soul’ in 2000. “It was a good move. We didn’t overreach ourselves or go for big, mad promotional budgets, but it’s gradually built into a substantial business. It’s a lot of work, but it’s empowering and liberating. That’s the way to build a career of substance, which is exactly what Paul Carrack has. But then, you need staying power when you’re a lifelong Sheffield Wednesday fan. “It’s all been good,” he muses. “Certainly a lot better than the alternative, which I dread to think what it would have been, if I’d stayed in Sheffield and got a proper job. If there’s any regrets, it’s probably not having the balls to stick to my own gut feelings and instincts a bit sooner. But there again, the fact that I’ve done some of those side things is a bit of a story. It’s all part of the tapestry.